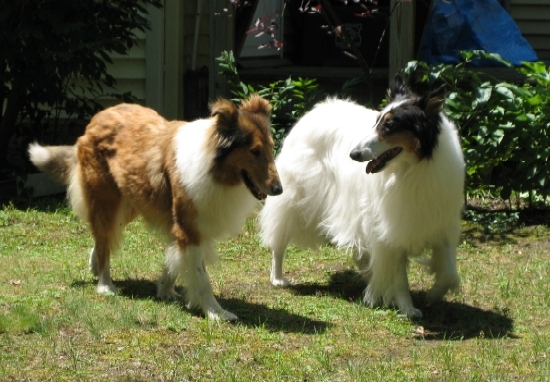 I just found this picture from last Memorial Day: Casper and Sophie (my aunt’s dog). 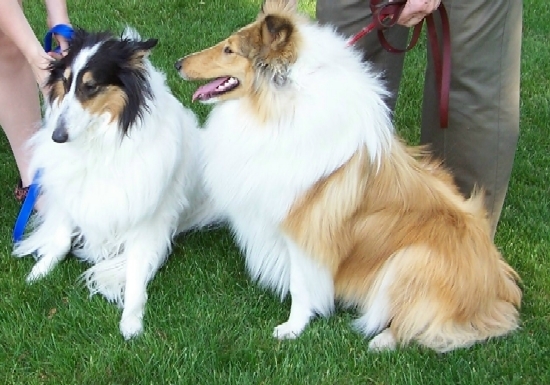 This is Shelby (my mom’s dog) with Casper last July. 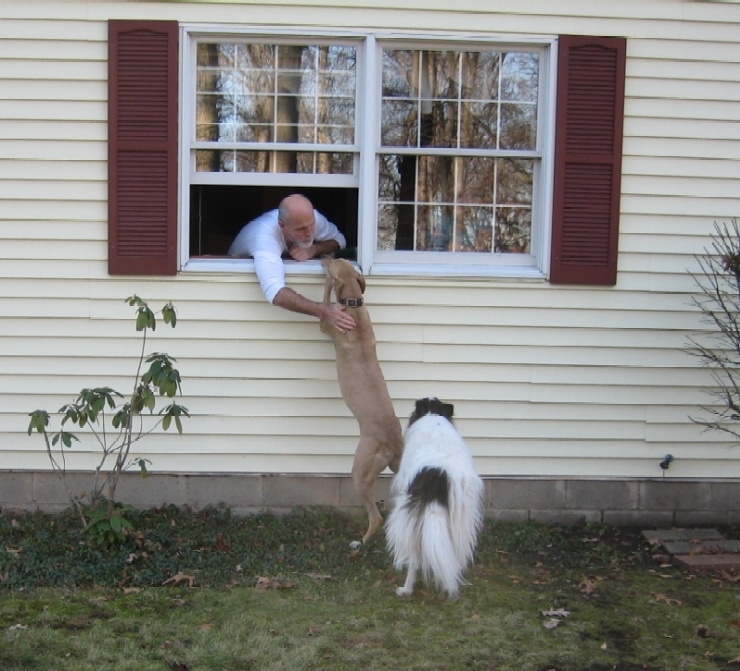 And finally Maddux (my brother’s dog) trying to visit Dad inside. I guess he’s not so hairy. Pingback: Amy’s Gripping Commentary » Depravity achieved!